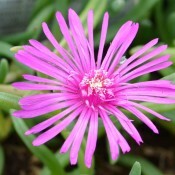 Brilliantly coloured flowers are held close to grey-green, semi-succulent trailing foliage. Constant show of colour all summer until the first hard frost. 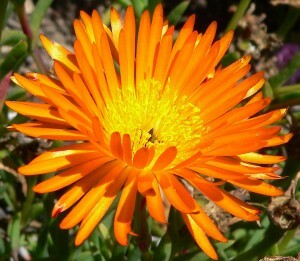 Ice plant thrives in sunny and dry locations. Does well as ground cover, in baskets, or containers. Fantastic with other low growing plants. Constant show of bright orange coloured blooms all summer long on semi-succulent foliage. Ice Plant thrives in sunny and dry locations. Does well as a ground cover, in baskets or containers. Constant show of rose coloured blooms all summer long on semi-succulent foliage. 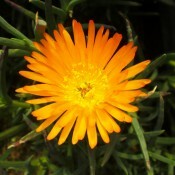 Ice Plant thrives in sunny and dry locations. Does well as a ground cover, in baskets or containers.